Copy last job feature, automatically store in internal RAM (up to 99 copies while the machine is on).  Whether you are an established company, a freelance graphic designer or just looking to start a new business venture, then our sleek, stylish and functional vinyl cutter could be for you. 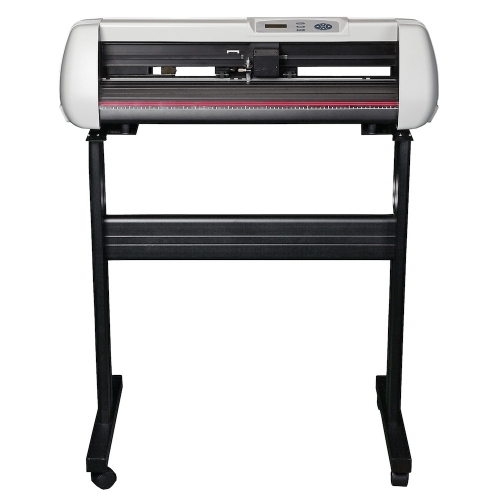 Our vinyl cutter has a surface size of 28” which means it will accommodate material greater than A1 size. The blade can be adjusted to cut through different materials (compatible with Roland Blades). 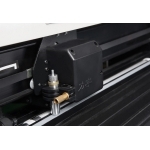 The motor delivers speeds of up to 800 mm/s so the material can be cut quickly and with a maximum force of 800g it cuts through various materials with ease. The Vinyl Cutter allows you to cut not just fabric vinyl but other vinyl i.e for signs and decals for interior designing. 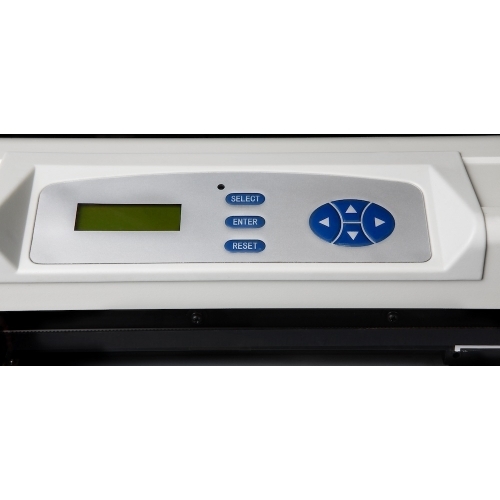 Percfect for cutting your Flex, Flock and all other Vinyl media. Cut out numbers, names, designs etc in reverse (mirror image) before placing onto your tshirt for transfer with a heat press. Check out pictures for sample cut.